When water chlorination first began at the turn of the 20th century, it was hailed as an innovative solution to waterborne disease. Since if left untreated drinking water can carry pathogens that cause severe illnesses, the short-term health gains of chlorinated water were immediately clear. However, chlorination was quickly complicated by long-term health concerns, as scientist have identified what happens to the disinfectants as they react with other chemicals in our water. We want to take a look at these reactions and explore why they are a cause for concern. Chlorine remains the chemical-of-choice for water disinfection within the United States due to its cost-effectiveness. 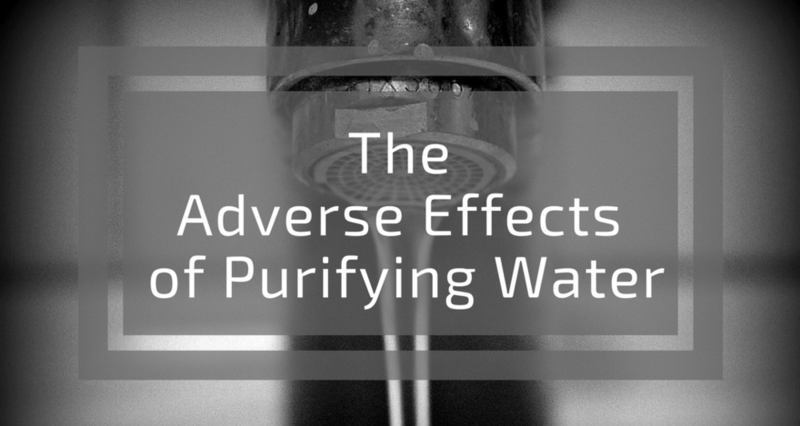 However, it is widely understood that chlorination may result in some unintended consequences–one of which is that it can react with other things found in tap water (e.g. organic matter). These reactions can result in the formation of halogenated chemicals known as disinfection byproducts (DBPs). Many halogenated compounds are known carcinogens, so they rightfully receive quite a bit of scrutiny when found in tap water. While over 600 different DBPs have been identified, they are still generally regarded to be “emerging contaminants,” since roughly 50% remain unaccounted for. What Are the Risks Posed by Disinfection Byproducts? As the World Health Organization (WHO) states, “efficient disinfection must never be compromised” and the benefits of using a disinfectant take precedence of the longer-term risks of DBPs. However, there are some major health risks from DBPs that result from long-term exposure. While some disinfection byproducts have almost no toxicity, research shows that others have been associated with cancer, reproductive problems, and developmental issues in laboratory animals. Why Keep Using Disinfectants Known to Create Potentially Hazardous Byproducts? The Environmental Protection Agency has developed a set of Disinfection Byproduct Rules to limit the public’s exposure to DBPs. Additionally, Congress passed the Safe Water Drinking Act in 1974, which required the EPA to determine the level of contaminants at which no adverse health effects are likely to occur. These health goals are called Maximum Contaminant Levels (MCLs) and, while some DBPs are still considered “emerging contaminants,” others have been assigned strict MCLs. In order to limit DBPs, some United States water systems are making the move towards using chloramine as a disinfectant. Chloramine has been deemed safer than chlorine for disinfection purposes, thanks to its tendency to produce fewer byproducts. However, while millions of American homes now receive chloramine-treated water, chlorine still remains the predominant disinfectant used in American water supplies. While regulatory agencies are taking steps toward reducing disinfection byproducts (by pre-oxidizing or filtering out organic precursors), the most effective way to reduce your exposure is to filter your water at the point of use, and/or flush stagnant water out of the pipes by letting it run for a few minutes before using it. If you are concerned about DBPs in your water, SimpleWater’s Tap Score home water test can help. It alerts you to the presence of disinfection byproducts in your drinking water, including chloroform, bromodichloromethane, dibromochloromethane, and bromoform. In fact, Tap Score tests for more than 100 drinking water contaminants, and delivers an easy-to-understand water report to your home in two weeks or less. 2. What are EPA's drinking water regulations for disinfection byproducts? Newer PostWhy Do U.S. Water Systems Add Fluoride to Public Water Supplies?